“He’s using religion to win over public opinion” and “he’s exploiting Islam to serve his political aims” are only some of the accusations the Muslim Brotherhood made against their number one rival, Egyptian presidential candidate Abdel-Fattah al-Sisi. Who would have thought the tables would turn and religion would become card in Sisi’s hand and the basis of an accusation levied by the Brotherhood. Sisi certainly struck a chord and made the Brotherhood lose their temper and he competed with them by talking about his vision of religion. Until recently, the Brotherhood were accusing him of being against Islam and Muslims. 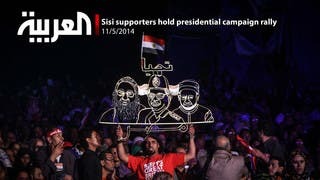 Sisi succeeded at the test of faith, and the Brotherhood’s confusion stood out from their contradiction. Are they accusing him of fighting Islam or of using it? Religion is, after all, the only political card that was actually winning. Although Sisi is new to politics, it seems he succeeded in gaining the public’s sympathy as he talked about his personal religious faith and the role of religion in people’s lives. His statements didn’t seem fabricated, political or aimed at serving electoral aims. This angered the Brotherhood so they accused him of exploiting religion for political ends. The truth is, Sisi didn’t use Islam but he defended himself against the Brotherhood’s accusations that he destroyed mosques, jailed scholars and preferred Christian Copts over others. To respond to these accusations, Sisi presented himself as a patriotic Egyptian and a pious Muslim who deserves the citizens’ trust. He succeeded in competing with the Brotherhood in their specialty: religion. A number of religious figures also supported Sisi and commended his piousness. 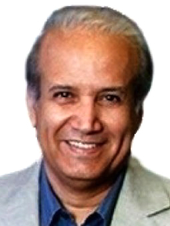 We don’t know who Abdel-Fattah al-Sisi really is. He says he’s a Nasserite, an Anwar al-Sadat supporter, a patriot, a modernist, a man of the military and a Muslim. He’s clearly all of the above but he’s not a politician in the vocational sense. This is why he appears natural and accepted by the general public. The Brotherhood’s war will not target his reputation, righteousness and patriotism. They will probably doubt his ability to manage the state and criticize his statements, including his previous statements such as: “dividing a loaf of bread may contribute to ending the bread crisis, graduates buying vegetables from wholesale markets and selling them in the streets would end the unemployment crisis and Egyptians’ use of energy-saving bulbs will decrease the crisis of power cuts.” This campaign won’t benefit them because the elections are near, and most Egyptians probably want a president they can trust and want the army institution to be capable of saving the country from the chaos that has spread since the beginning of the revolution. The Brotherhood has been blinded by rivalry and not by competition. Instead of dealing with reality and admitting the truth that they failed to properly govern the country, they are betting on spreading violence and sullying their rival’s image. The result seems to be clear. Elections will grant Sisi the legitimacy necessary to take over governance, gain the world’s recognition and launch a new era. This article was first published in Asharq al-Awsat on May 13, 2014.